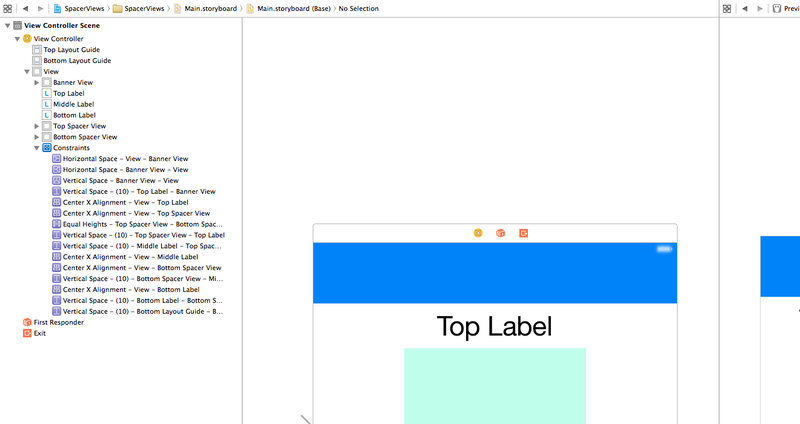 Well, I just loaded in Xcode 5. I mainly wanted to see if they fixed auto layout. After my 10 hours using it, it does seem much better. 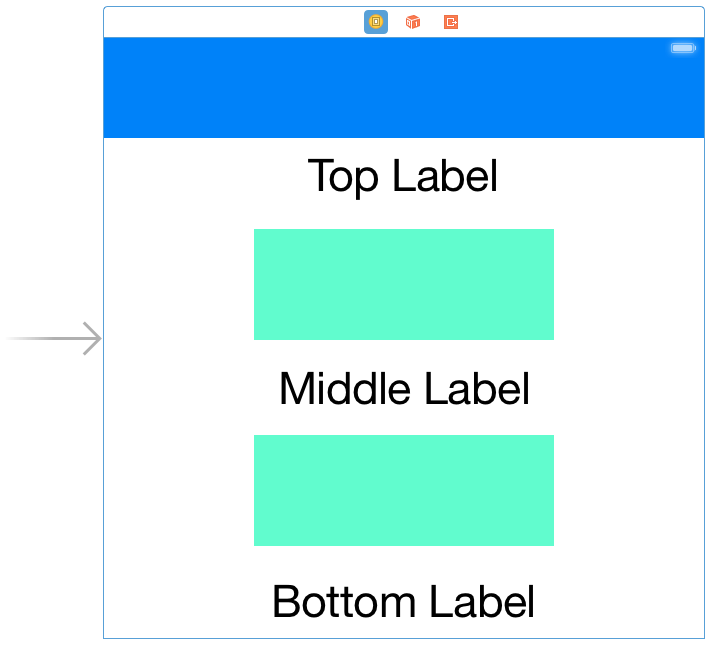 Autolayout seems to make sense to me now. 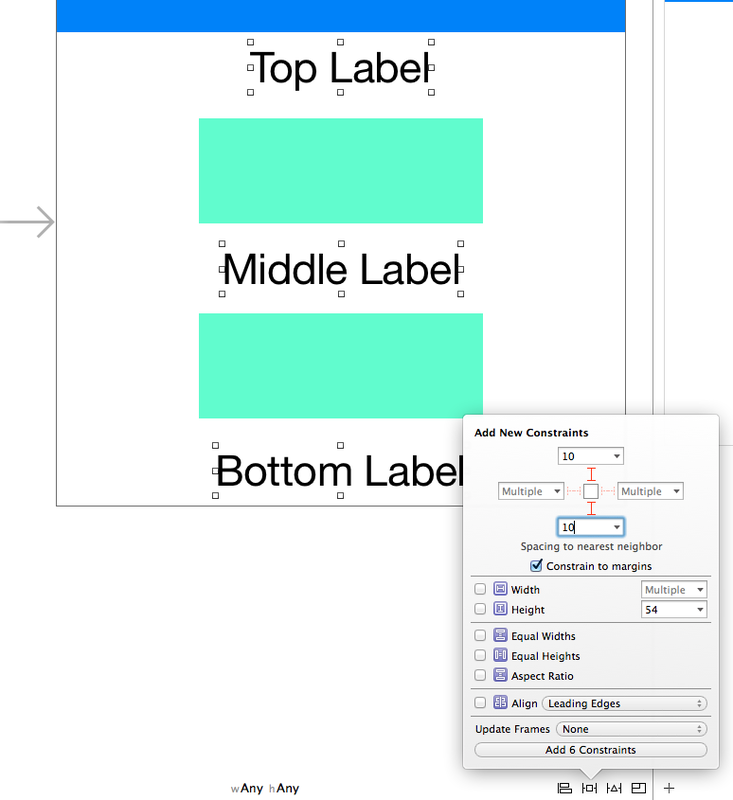 To solve this we need a way of telling Auto Layout how to control the space between the three UILabel instances. In order to do this we’ll use spacer views. 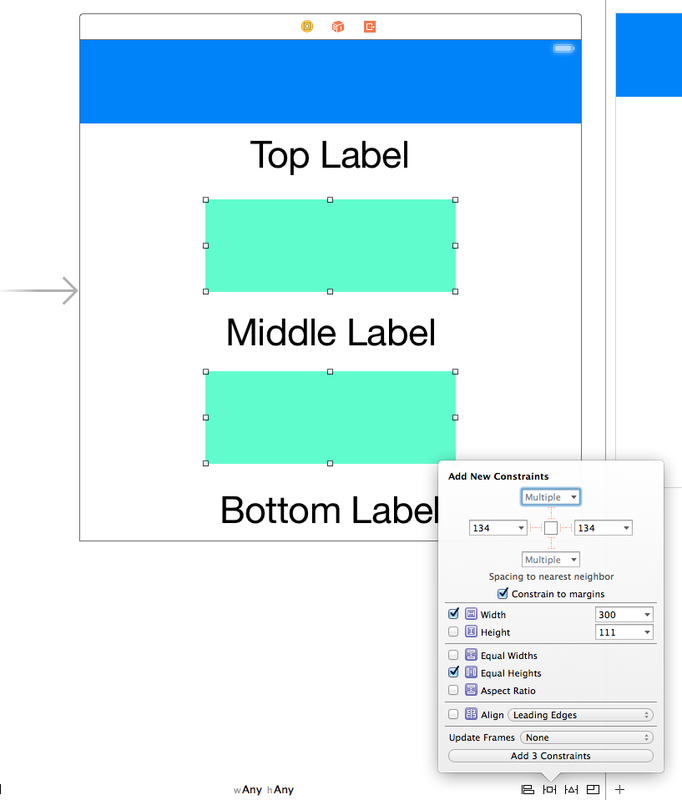 These will be hidden UIView instances which give us the ability to specify constraints for our spacing. 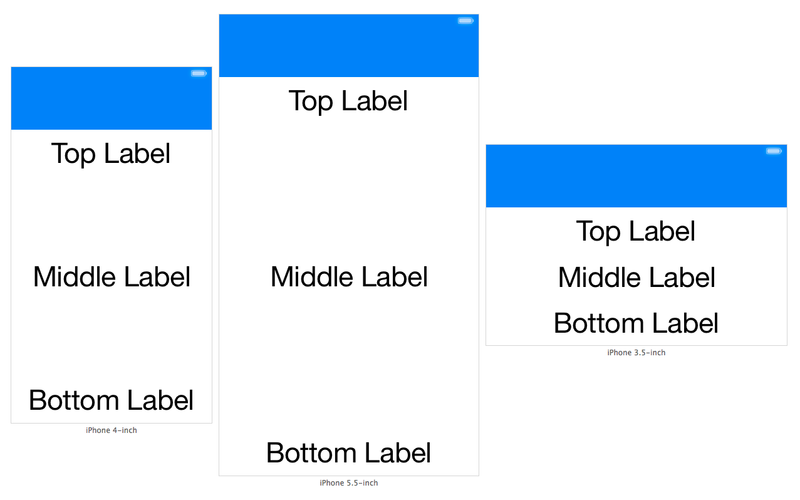 These spacer views won’t be visible to the user but they will participate within the Auto Layout system. 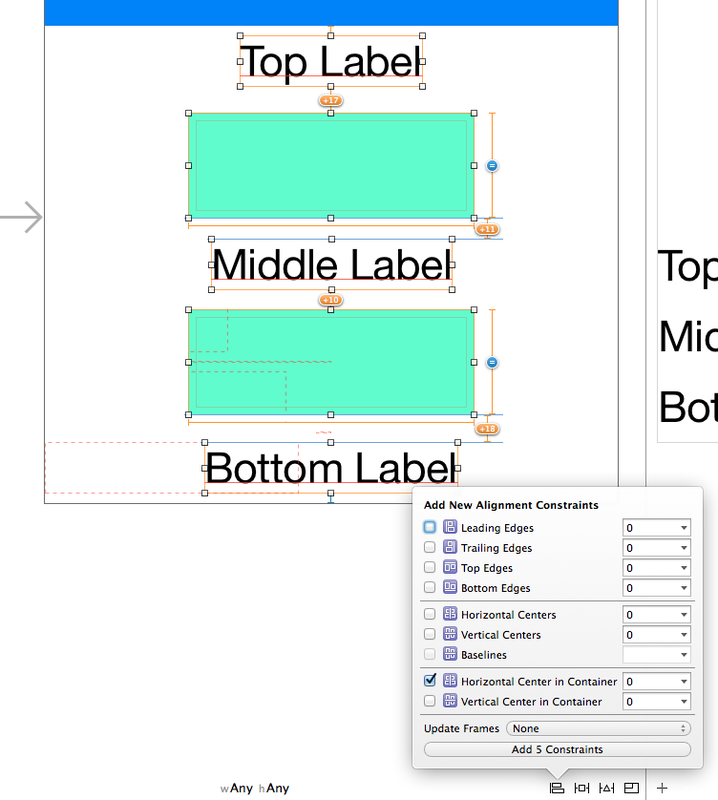 Once all these constraints are in place you can set the spacer views’ hidden property as YES. 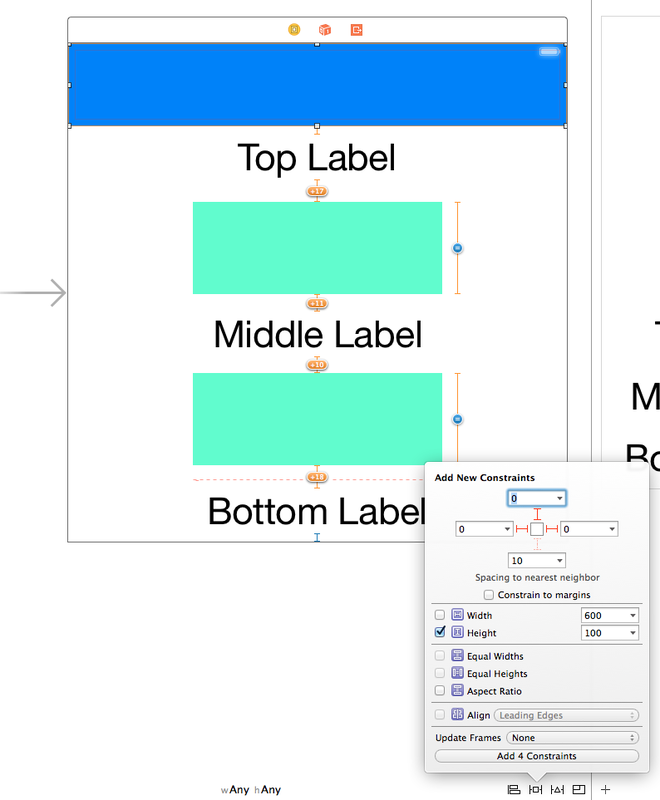 Finally make sure you update all the frames in Interface Builder so your view’s layout reflects its constraints. 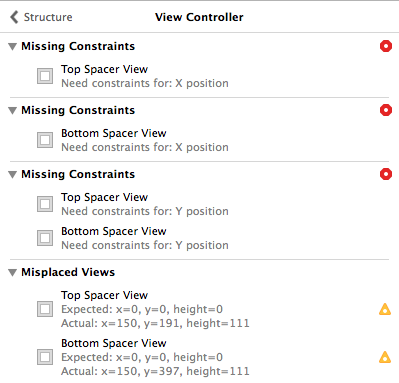 Your view should now have no Auto Layout warnings or errors. The source code for this post is available here. Awesome Man ! Thumbs Up. It’s the best explanation of this method! Thanks!